I know it’s kinda like admitting I enjoy Ruby Tuesday but I also use Red Box. What can I say? I don’t have streaming netflix or cable and sometimes I just wanna watch a movie. I also still pay my bills by mail… I mourned the closure of Blockbuster. 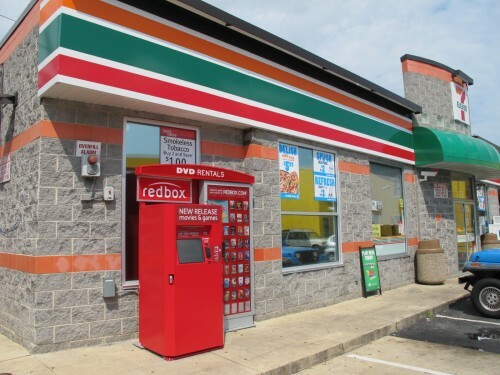 So I was pretty psyched to see the 7-11 at Georgia and Shepherd St, NW has a Red Box out front. The Red Box at the Columbia Heights Giant seems to always be busy. Anyone else use Red Box to rent movies?